Enjoy a beautiful country drive along Fernleigh Road and visit the pottery studio of Brooke Clunie, famous for her distinctive pottery. Some of Brooke's work is also available for sale at the Ballina Visitor Information Centre. Brooke Clunie at Red Door Studio is a ceramic gallery and studio in the Ballina/Byron hinterland. 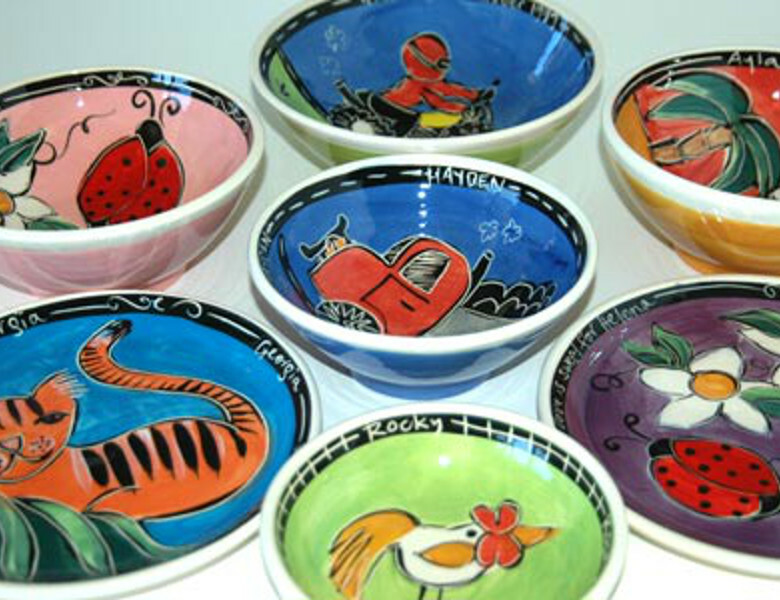 Featuring hand made pottery in an array of stunning colourful designs as well as more subtle works. Brooke welcomes personalised commission work and runs pottery sessions and workshops for friends and family celebrations. Drop in for a cuppa and try her special Potter's Wheel coffee, freshly roasted for Brooke when you visit her studio.